Sometimes you just want to sit in a chair with a cup of tea and learn something new, at your own pace and in an environment where you feel comfortable. Online learning can offer you just that. Here is a selection of resources from around the web. 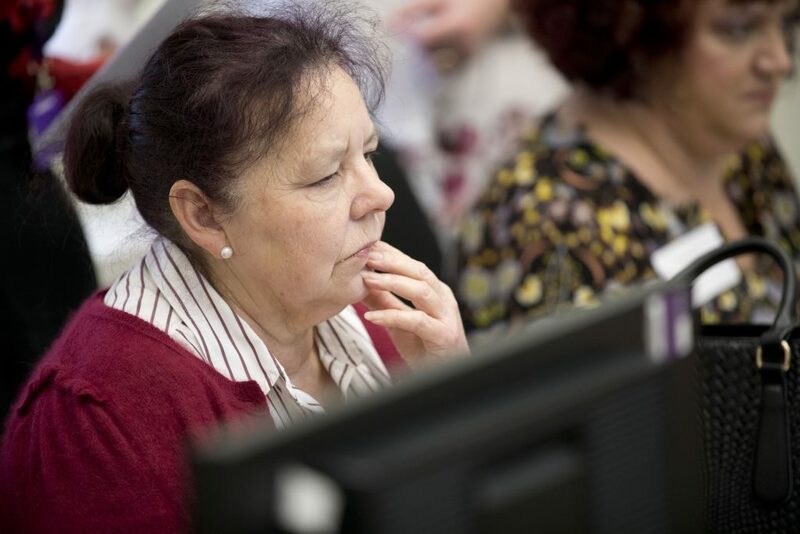 Any UNISON member can create an account on our online learning site and enrol themselves in e-notes (quick, interactive online modules) on a wide range of topics. These give a useful overview of the subject and direct learners to further resources. Recently added e-notes include: Dyslexia Awareness, Introduction to Apprenticeships, and The Role of the Union Learning Representative. The Organising Space also provides a safe space for UNISON activists in all sorts of different roles to connect with each other and share their experiences. There’s a dedicated chat in which you can discuss learning and a library of resources that you can download and use to organise and promote learning activity in your branch. UNISON activists can log in to the Space using their my.UNISON account (you can set this up here if you haven’t done so already). e-Careers offers a wide range of continuing professional development courses designed to help you advance in your career or to take up a new one. With subjects ranging from bookkeeping to wedding planning, there’s something for everyone. UNISON members can claim a discount of 10% on e-Careers courses by quoting ‘UNISON10’ in the checkout window. For those who are looking to study for GCSEs and A-levels, the National Extension College is an alternative option to colleges or private tutors. They also offer qualifications in Childcare & Early Years, Counselling, and more. Union members can get a 10% discount on NEC courses – you just need to let them know when you enrol. And there are free taster courses, available to union members only, to help you decide whether distance learning will work for you. And remember, if you’re studying at your own expense, you may be eligible for financial support under UNISON’s bursary scheme. Citizen Maths is a free online course that uses practical exercises to introduce maths concepts which can then be applied to real life situations. OpenLearn is the Open University’s web access point for its open and free online resources. You will find around 11,000 hours of learning materials, including 8,000 hours taken from OU undergraduate and postgraduate courses. You can improve your study and employability skills in a range of subjects including health, social care, early years, money and finance, project planning, digital skills, communication skills, and leadership and management. Starting Your Small Business – introductory course for anyone thinking of setting up a small business or becoming self-employed. Covers structures, customers, and responsibilities, and looks at the common features shared by successful small businesses, as well as the common pitfalls to avoid. PEARL (Part-time Education for Adults Returning to Learn) is a website developed by the OU with the help of UNISON and other partners. It’s designed to help you find all levels of courses and learning opportunities to suit your needs, ranging from short, online courses that do not carry any credits right through to higher education learning offered by colleges and universities. PEARL places a strong emphasis on part-time study and flexibility, to enable people to continue in work while pursuing their studies. The TUC education site offers a range of online learning opportunities, including: a wide selection of e-notes, a directory of courses, and training for union reps, health and safety and learning reps.
Unionlearn is the learning and skills organisation of the TUC. Its website contains all sorts of resources, including case studies and negotiating guides.